Toot Sweet Ink, 9780991266722, 134pp. A samurai destined for greatness embarks on her first mission. In ancient Japan -- a land of stunning beauty and unspeakable brutality, in a time when gods walked among mortals -- Yamabuki, a warlord's only daughter, trained in sword and bow, bears important dispatches to the Imperial Capital. Veiled in the guise of an ordinary warrior, not even revealing that she is female, she travels not as a princess but with the common people, only to find that many are not who they seem. Some want her dead. Others want her because she's a woman. She must fight for her honor, her duty, and her clan. Blood will be spilled before it is over. 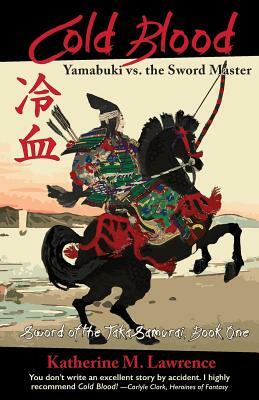 The epic saga of Yamabuki's adventures in the years leading up to the Genpei War and beyond begins here in Book One of Sword of the Taka Samurai.